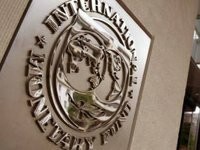 The International Monetary Fund (IMF) has retained its forecast for Ukraine's GDP growth in 2018 at 3.2%, while it reviewed downwards the forecast for 2019 to 3.3% from 4%, according to the World Economic Outlook published on Tuesday. Average annual inflation forecast in 2018 was reviewed downwards by 1 percentage points (p.p. ), to 11%, and in 2019 the IMF expects 8% inflation in Ukraine. Consumer price growth forecast for late 2018 was revised downwards by 2 p.p., to 9%. By the end of the 2019, the IMF expects inflation in Ukraine at the level of 6.5%. The IMF also revised downwards the deficit of the current account of the country's balance of payment for 2018, to 3.7% of GDP from 3% of GDP, and for 2019 – to 3.5% from 3% of GDP. As reported, the World Bank remained unchanged its forecast for Ukraine's GDP growth in 2018-2019 at 3.5% and 4% respectively. However, the bank said that if reforms are delayed, growth could drop below current levels in an uncertain macroeconomic environment as financing risks rapidly increase and GDP growth could slow to 2%. The National Bank of Ukraine (NBU) predicts that Ukraine's GDP would accelerate in 2018 to 3.4% from 2.5% in 2017 and slow to 2.9% in 2019-2020.